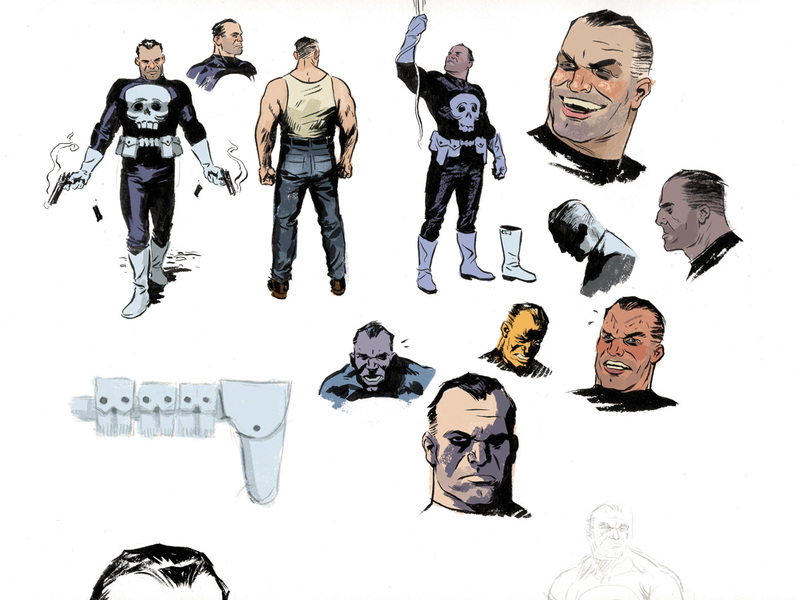 Punisher Studies. 2008. Ink on bristol board with digital color, 11 × 17″. Great stuff, Paolo! I really liked that Spidey/Punisher team-up you did a couple years back; that one Spider-Man fight scene where he doesn't even touch the ground was incredible. You're on Daredevil for years to come, yes? Thanks, Jeremy. As far as I know, I'll be on DD for a while. I'm exclusive with Marvel for another year, at the very least. Next year will also mark 10 years with the company, but this is my first ongoing title. Beautiful work (as always). Love that classic Punisher look. Thanks, Paul. I may actually be doing some Punisher in the not-to-distant future.